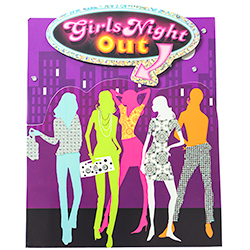 Set the scene for one wild night out by sending everyone in the group one of these stylish 'girls night out' hen party invitations. A great way to set yourself up for a truly successful night on the tiles! There are 8 invites per pack each with space to write the date, time, place and RSVP so there will be no excuse not to show up! 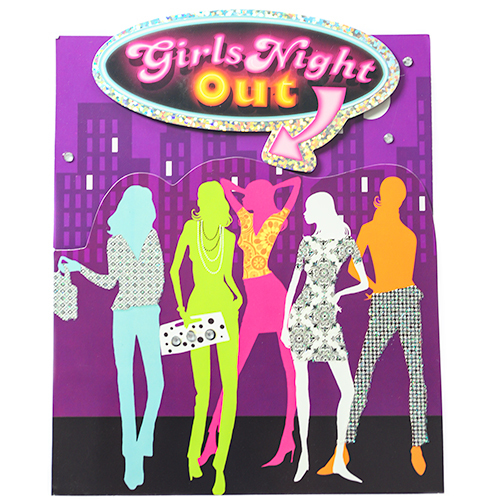 The colourful design stands out from your ordinary party invitation which is a great way to gain a YES from everyone invited. 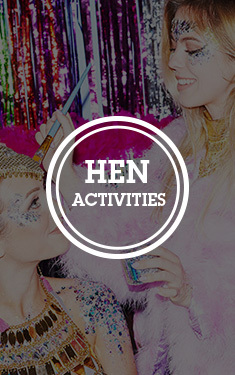 Get ready to throw the best and busiest hen party ever, after all who will turn down such a fun filled invite?! "Very, very good for the price! Although more space to write the information would have been handy. " "Really nice range of products. " "I like the cards but was difficult in writing the details in a normal biro. Still have lots more stuff to buy as soon as the hen do guests receive their invites!"